The Loutraki Hotel Cristina Maris is a beach front property in Greece. Cristina Maris was constructed into four neo-classical architectural buildings in 2004, covering an area of 1.500 m2, and complying to the latest anti-seismic regulations. 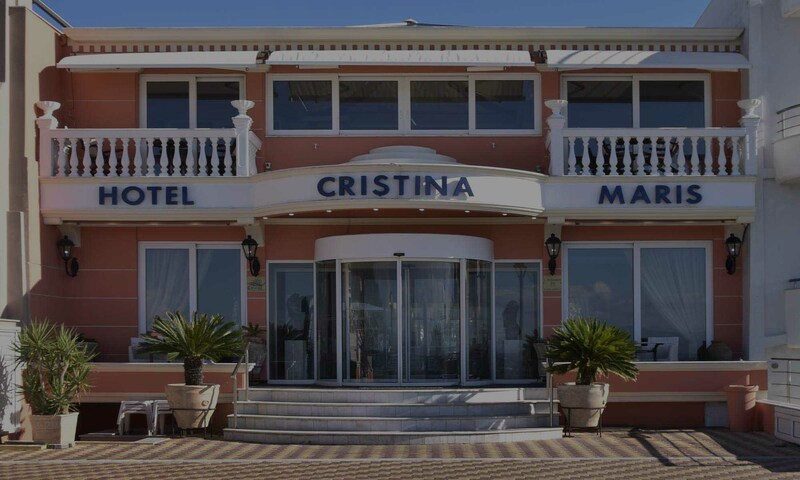 The Cristina Maris is one of the most comfortable and friendly hotels in Loutraki, furnished elegantly in refined style, with our own parking area and fully managed beach area just 20 meters from the hotel. We are situated on Loutraki’s seaside pebble beach, just 500 meters from the main town center and major shopping area with bus station, banks, taxis and cafes. We think that it is important for us to offer you the best services and experience to make your trip more enjoyable, whether a business stay or vacation. You can relax in our garden where you can enjoy refreshements, surf the internet using our free wifi or enjoy a swim in the clean waters of loutraki beach or in our own swimming pool. 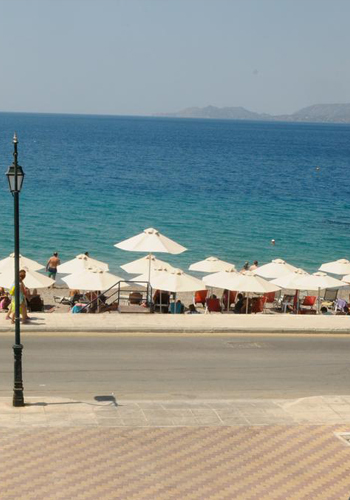 Loutraki is a very good place for vacations and you can travel around to see monuments and attractions. Some of them are the Canal – Isthmia, the loutraki spa with natural healing water, the lighhouse, Heraion of Perachora, ancient Korinthos, the famous ancient greek theater Epidavros, Vouliagmeni’s lake and many monasteries like Osios Patapios and Saint Gerasimos! 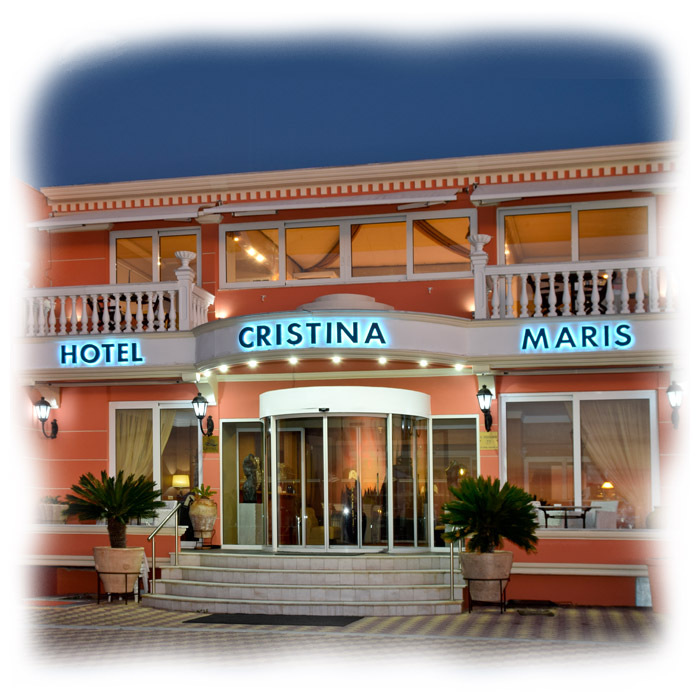 We are waiting for you for a nice staying, to explore, to relax, to socialise or to even work in a nice environment to our Loutraki Hotel Cristina Maris! Relax and cool down in our stylish swimming pool which is surrounded with sun loungers and umbrellas in a beautiful setting. Verandah’s overlooking the hotel free parking. Our beach area has seating and umbrella's on the Korinthian Gulf sea. Gardens with palm trees and flowers, tables, chairs and umbrellas. A communal breakfast room, swedish sauna and restaurant are the perfect way to relax.